If there’s one feature that we’re proud of, it’s our virtual tours. First, they’re absolutely simple to build. Next, we automate outputs for every device and channel – including mobile, email, social media, and even YouTube! 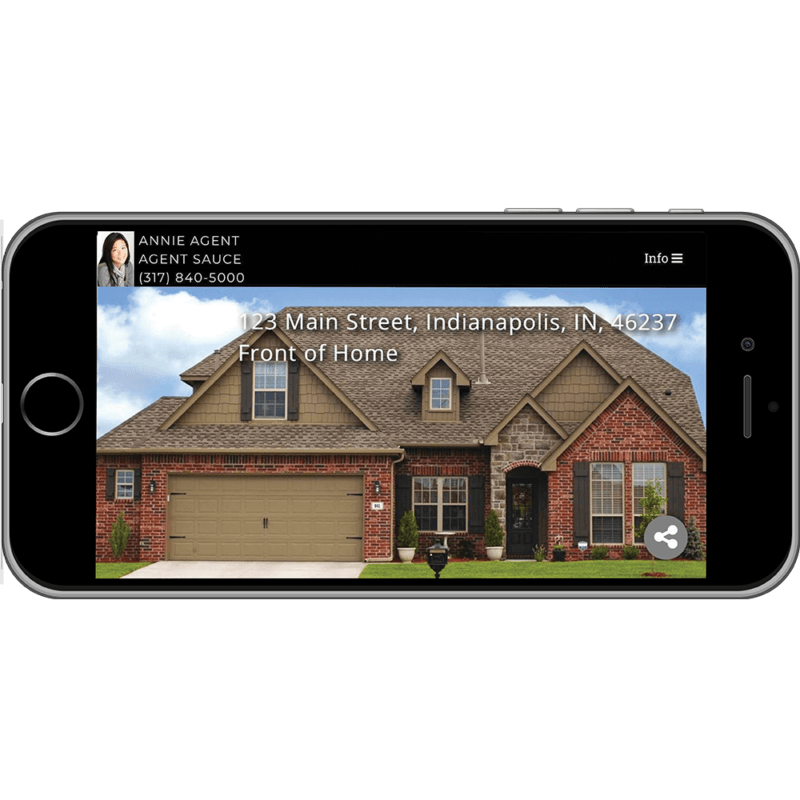 Provide instant information about a listing to prospective buyers via Text Message. With our innovative system prospective buyers can request additional information, request an in depth email package about the listing, request a viewing of the property, and click through to a Mobile Optimized Virtual Tour. Prospective buyers call a toll free number and listen to prerecorded message about the listings. 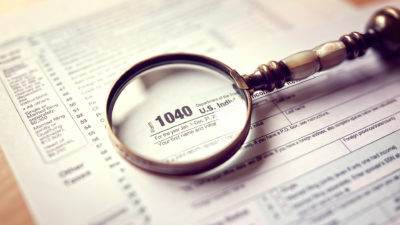 Callers have the option of pressing the “1” button to connect the call directly to the listing agent. Upload an unlimited number of photos to be viewed in a search engine optimized branded Virtual Tour. 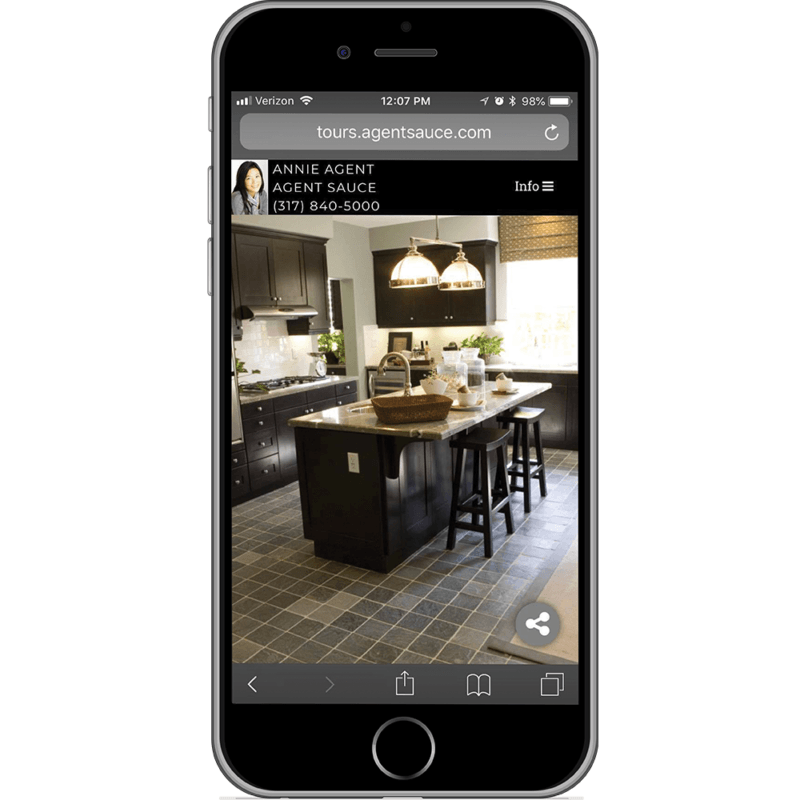 Each Virtual Tour includes social networking links, agent contact information, scheduling viewing request, mortgage calculator, and walking score/map. Very similar to the Online Virtual Tour except made for a mobile phone’s screen size. Includes access to all uploaded photos, listing, and agent contact information. We can automatically post your virtual tour links to REALTOR.COM. Free if you are a REALTOR.COM Showcase Listing Enhancement member. Agent Sauce takes the virtual tour photos, creates a listing video and uploads it to YouTube.com. The video can be uploaded to the Real Estate Agent’s YouTube channel, Agent Sauce’s channel or both. The video can also be downloaded for burning to DVD/CD or other distribution. Post your listings to your facebook wall using our advanced social media integration tools. Select a “Listing of the Day” schedule, Post new listings and changed listings on demand! And add a tab to your facebook profile showing your listings! 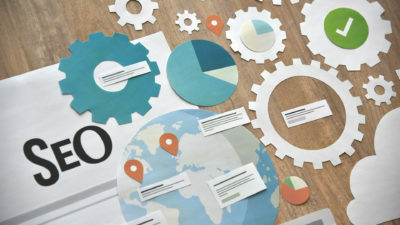 Each listing contains all of the property information and links back to your virtual tour, driving traffic back to you. Tweet your listings to your Twitter stream using our advanced social media integration tools. Select a Listing of the Day schedule, Post new listings and changed listings on demand!